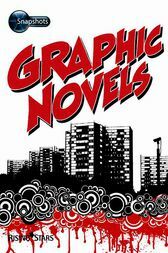 Graphic Novels are a popular choice of reading material, especially with boys. Learn how they are made and how the text and illustrations work together to tell the story on the page.The Snapshots series of colourful and visually appealing titles is designed to engage 9 to 14 year old reluctant readers. With their bold design and familiar subject matter  from battles to Batman  these books are perfect for guided reading and for encouraging less able readers to enjoy reading alone.